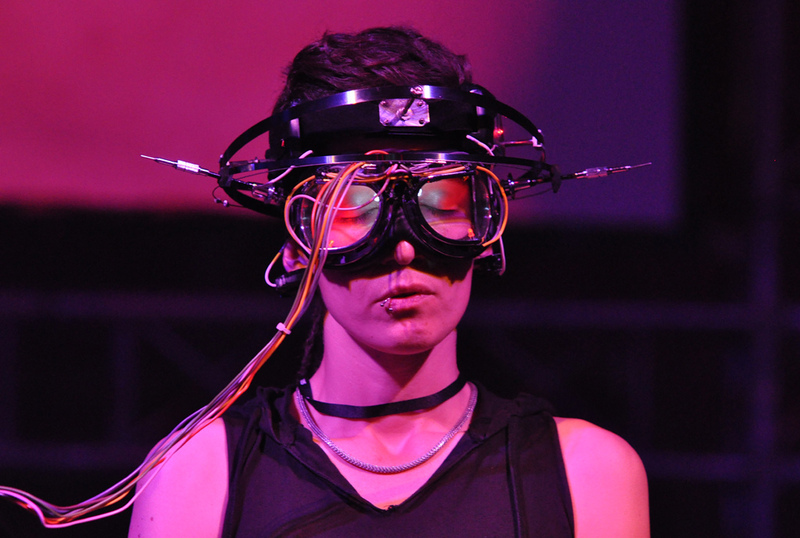 Masaki Batoh, musician formerly of the band Ghost and currently also an acupuncturist, conceived of the Brain Pulse Music Machine (BPM Machine) made to translate brain waves into sound waves which the wearer can learn to control to make music. Conceived as an instrument to assist in the understanding and correction of central nervous system abnormalities, the BPM machine kicks out sheets of sound based on brain waves – so the wilder the brain, the wilder the waves! This has the potential to create or augment amazing psychdelic music – who knows what insane sounds could result? Initially the plan was a complete LP of Brain Wave music but the March 2011 Tōhoku earthquake intervened. When Batoh was able to resume work in his Tokyo studio he decided to add tracks using traditional Japanese instrumentation, “to form a prayer/requiem for the victims of the Great East Japan Earthquake”. Brain Pulse Music is available on LP, CD and FLAC download from Drag City. Proceeds from sales of Brain Pulse Music will go to aid the Japan Red Cross. Feed your head, heart and soul. The BPM machine consists of a headset and a motherboard. Brain waves picked up from the parietal lobe to the frontal lobe are sent via radio waves to the motherboard, which converts them into sound via a generator. The second-by-second reflection of our mental state is heard instantaneously as it is generated by the brain. In order to control the waves of sound, the mind requires training; on first using the BPM, not everyone will be able to control the sound to their satisfaction. The “awakening” that comes from a relaxed mental state is an important key to this program. 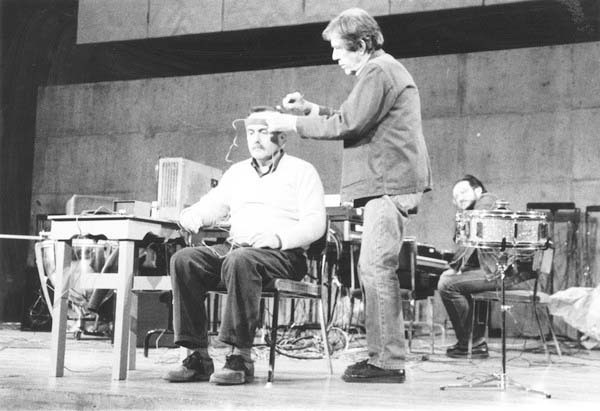 While the BPM machine captures the microscopic fluctuation of brain waves; the user of machine learns to callibrate his or her thought process with the goal of a state of total relaxation or what the BUDDHISTS call “a state of anatta” (not-self). Stabilized brain waves = stabilized mental condition = stabilized physical environment. The ULTIMATE objective is the use of the BPM for patients with congenital abnormality of the cerebral nervous system (including developmental disorder such as ADD, ADHD and LD as well as epilepsy). 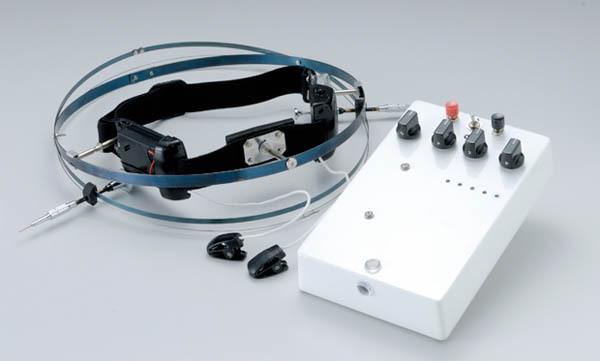 The instrument is also expected to be an effective therapy for depression, panic disorder and Asperger’s Syndrome, as well as an improvement on QOL (Quality of Life). Before the BPM machine can be implemented in clinical environments, more needs to be learned. BPM testers need to be trained to learn how to control the machine and have patients benefit from the experience. Several hospitals in Tokyo are using it on a trial basis – and Batoh is using it at his clinic every day. Will you be the next one to RIDE THE WAVES to greater illumination on the mysteries of the brain? Or will you use the wave forms to inform the latest conception in MUSIC? No matter which direction you’re going, the BPM WAVE starts here.